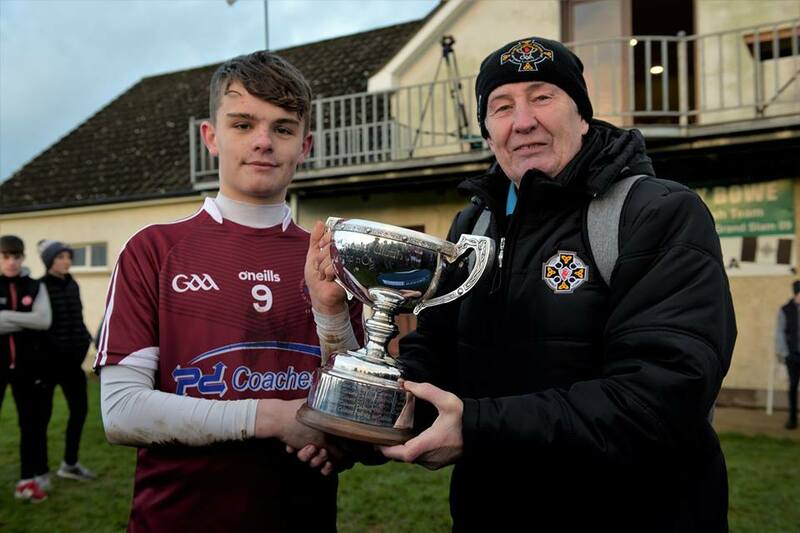 Strong finishes at the end of each half helped Omagh CBS to a shock but richly deserved Corn na nÓg success over a fancied St Patrick’s Cavan side at Oliver Plunkett Park in Emyvale on Saturday afternoon. With five minutes to go to half-time only the minimum separated the two sides but Omagh then struck for a goal from Caolan Donnelly and that enabled them to lead 1-5 to 0-3 at the break despite having played against the wind. Favourites Cavan re-appeared for the second half with all guns blazing and by the end of the third quarter they had turned things around to lead. All the momentum looked to be with them at that stage but they only registered another point in the remainder of the contest as Omagh finished strongly to win with a Daithi McCallan goal proving to be decisive. Killian Brady opened the scoring for Cavan in the 2nd minute but within 60 seconds Omagh had levelled matters from a Conor Owens free. A high ball in from Cavan centre half forward Darragh Lovett crashed off the bar before Omagh defender Gareth Seaney made a great block to deny Favor Shehu a goal chance. Brady fired over a superb point for the lead for St Patrick’s again but again Owens responded from a placed ball. The Tyrone lads then moved two clear thanks to a brace of frees from Eoin McElholm but Lovett kept Cavan in touch with a fine effort from distance. In the 27th minute Omagh CBS grabbed their first goal of the afternoon with Donnelly giving keeper Oscar Brady no chance with a rocket to the net. That was followed by a point from play from Nathan Farry as Omagh CBS greeted the short whistle with a spring in their step. Cavan left their opponents out on the field for five minutes before they re-appeared for the second half but whatever was said to them in the changing rooms seemed to have the desired effect. 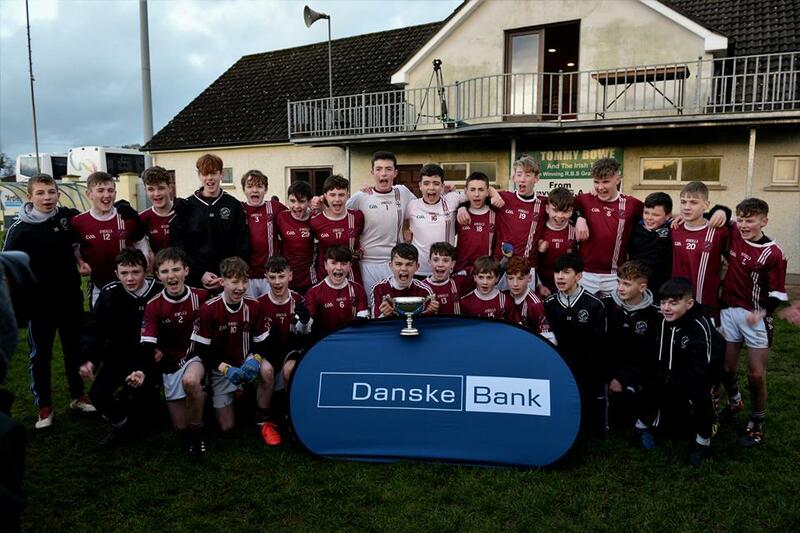 Centre half forward Lovett scored twice inside the opening three minutes and moments later Omagh CBS keeper Conor McAneney thwarted the same player with a superb save. Cavan had their tails up with half time substitute Oliver McCrystal pointing before a free from Lovett left just the minimum between the sides with only seven minutes of the second half gone. Owens calmed Omagh nerves with a free before he offloaded for Charlie Donnelly to put three between the sides again. Cavan though drew level in the 43rd minute when a Lovett shot was blocked but the ball went up in the air and Cormac Galligan palmed to the net. McCrystal then edged Cavan in front but the hard working McCallan left it 1-8 apiece with nine minutes left on the clock. Three minutes later Cian Keaney scored via the post but that proved to be Cavan’s last score of the game. In the next attack full forward Owens hit an outstanding equaliser with the outside of his boot from the left wing and Omagh CBS never looked back. With Michael Mac Salaigh and Caolan O’Hagan to the fore in midfield the winners took over. McElholm gave them a lead that they were never to lose in the 56th minute and sixty seconds later he supplied the pass for McCallan to blast to the net. It was all Omagh at this stage and Owens brought the scoring to a close with his fifth of the contest. 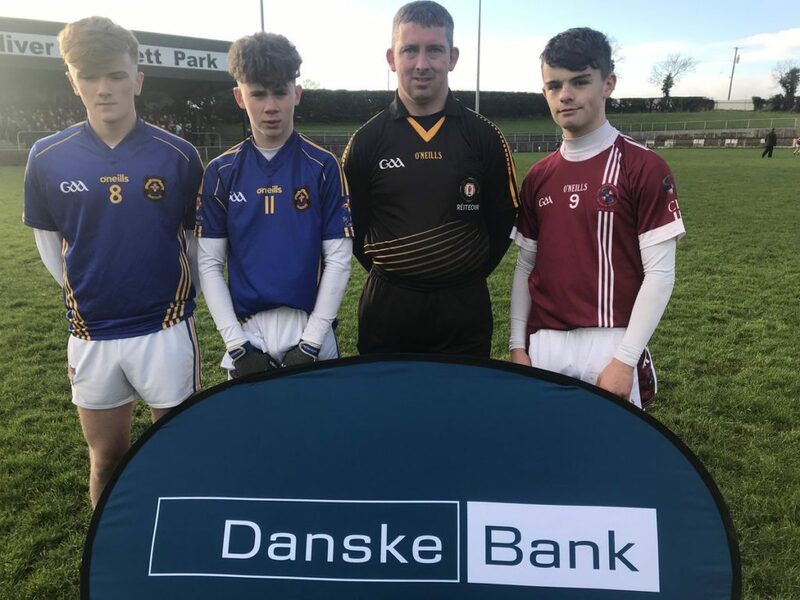 Omagh CBS: C McAneney, R Cuddy, B Lynch, C Daly, G Seaney, D McCallan (1-1), T Haigney, M Mac Salaigh, C O’Hagan, C Donnelly (1-0), N Farry (0-1), C Donnelly (0-1), E McElholm (0-3, 2F), C Owens (0-5, 3F), R McCullagh.